Bradley Cooper’s measured performance in Clint Eastwood’s American Sniper is one that stays with you. It burrows its way into a faraway corner of your consciousness and just stays there. For days. Such occasional hiccups aside, American Sniper is blunt, uncomfortable, and thought-provoking. I’m going with three-and-a-half out of five. At 84, Eastwood can still play a young man’s game. Don’t miss this film. The film, based on a book co-written by Kyle himself, will make you flinch at both the relentless fighting and the unilateral view the Americans in its midst have of it. Words like “savages” are routinely thrown about as Kyle and buddies manoeuver their Hummers through streets crawling with “dangerous Iraqis”. While we don’t mind Eastwood’s unhurried storytelling of this one-dimensional tale with a narrative that suits jingoistic thinking, it’s the monotony and stagnancy that fail to make the desired impact. Chris’ one-upmanship with Mustafa (a Syrian sniper) is an interesting track that stays unexplored. American Sniper is hard-hitting, no doubt, and predominantly a performance-oriented film, where Cooper shines. It isn’t the Clint Eastwood classic you expect it to be, though. 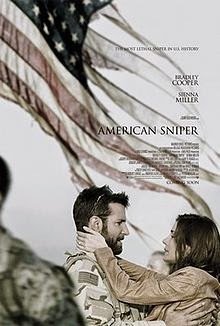 American Sniper’s soul is Bradley Cooper who brings a touch of humanity to Kyle through his measured performance which successfully shows viewers two different sides of him – a daredevil in Iraq and an ill at ease family man. In the few scenes which look at Kyle’s struggles to adapt to real life, Cooper uses his eyes convincingly to show the anxiety of a man not always happy to wear all the laurels.For all the bravado of Kyle, American Sniper lacks courage to realistically see the perils of war. 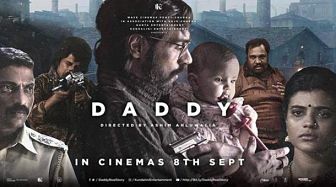 Despite being intrinsically American, the film might actually appeal to a certain section of the political spectrum, even in India. However, it could have been infinitely better. Not quite as mindlessly gory as Lone Survivor, not quite as brutal and sensitive as Fury, American Sniper is a middle ground that is as masala as a war biopic can get. Watch the film for an earnest performance by Bradley Cooper. The actor is in top form as Chris Kyle and offers a lot of depth. It has enough edge-of-the-seat moments, coupled with a stellar soundtrack and POV shots. But honestly, this film would have been better off as a documentary rather than a feature-length film where we are exposed to civilians being butchered and murder being glorified.